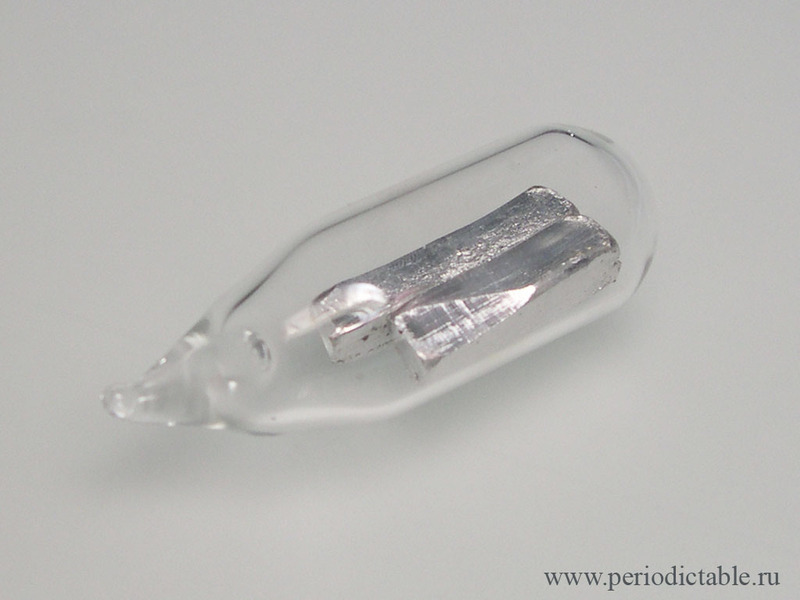 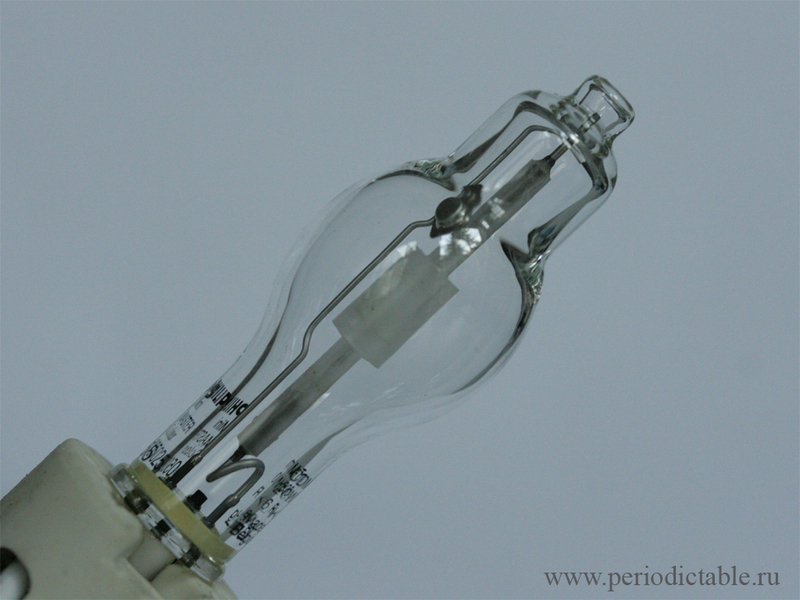 Thallium piece under vacuum in ampoule. 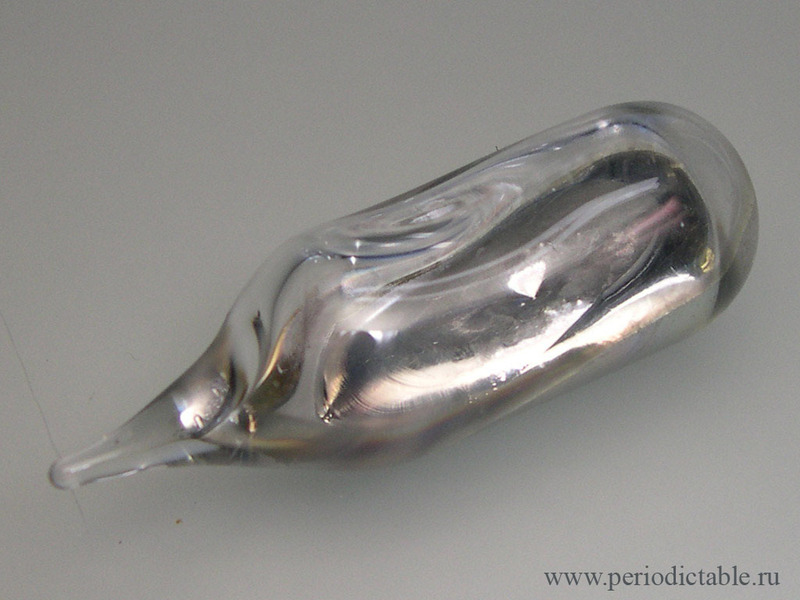 Thallium melted under vacuum in ampoule. 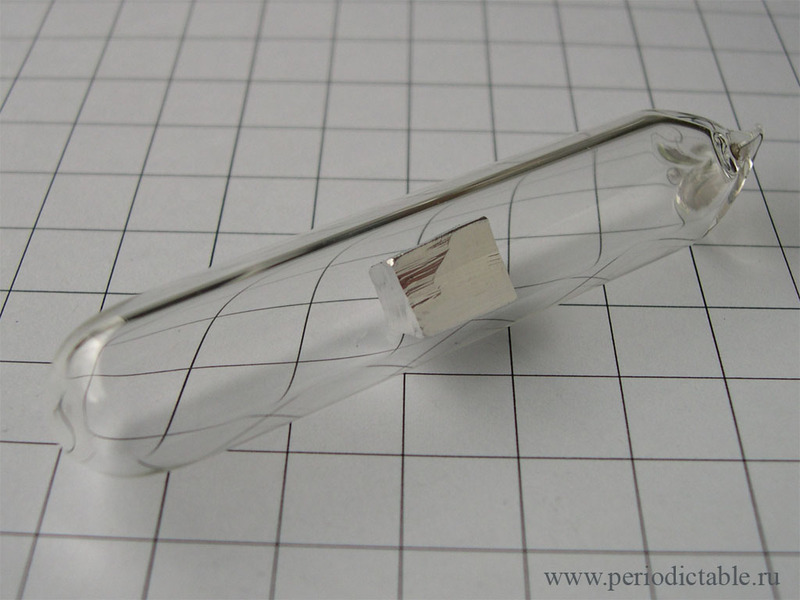 Thallium rod with etched surface. 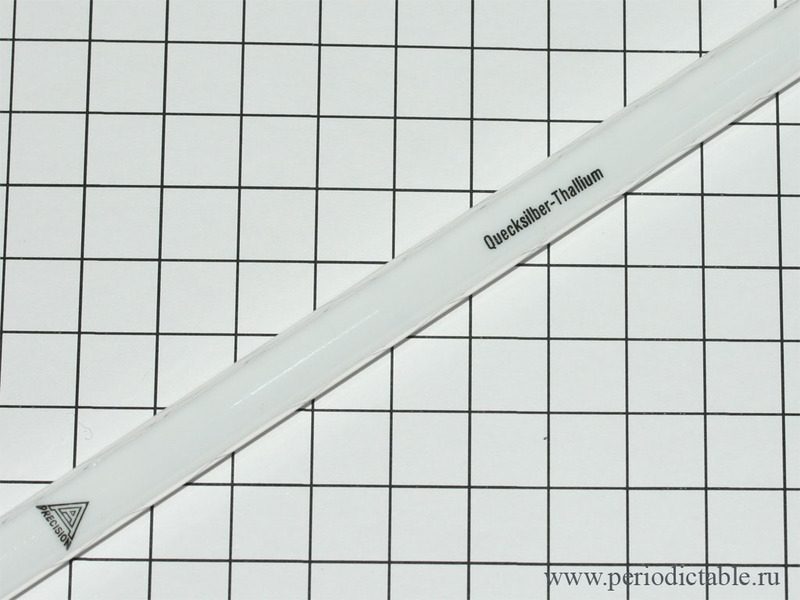 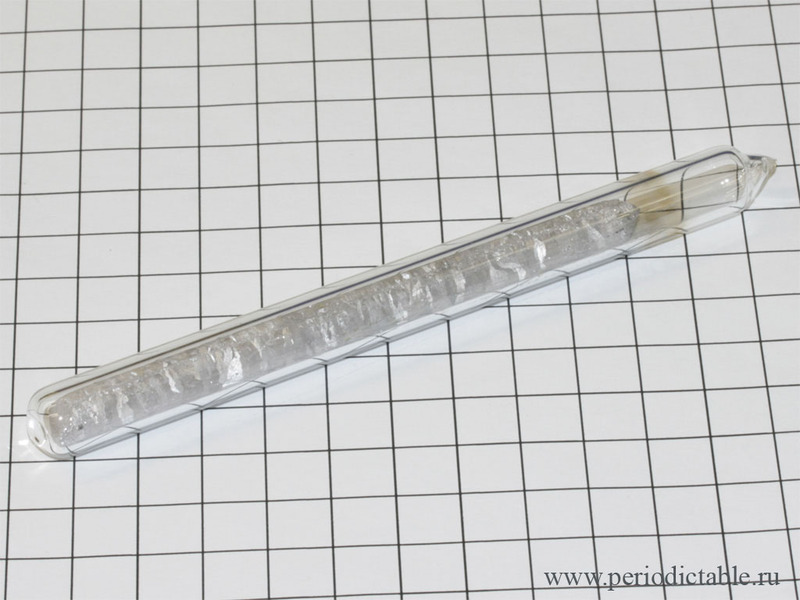 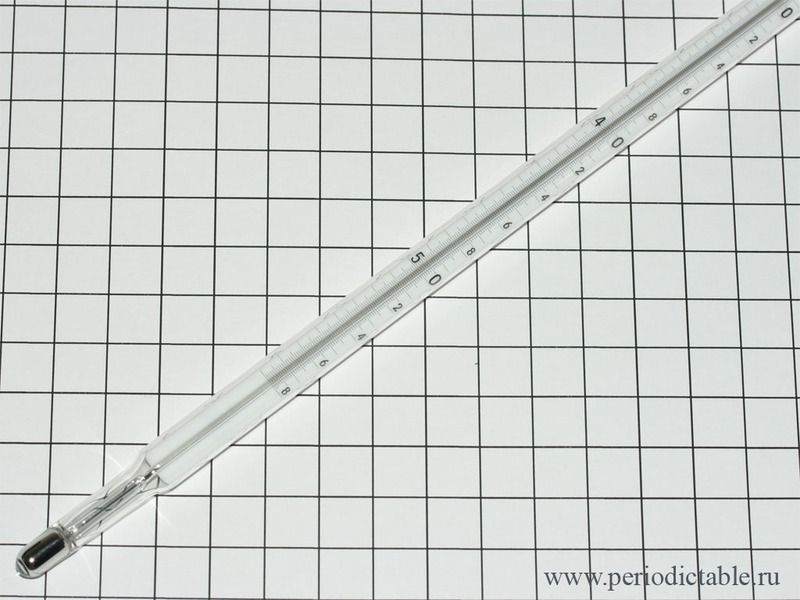 Thermometer with Tl/Hg eutectic alloy. 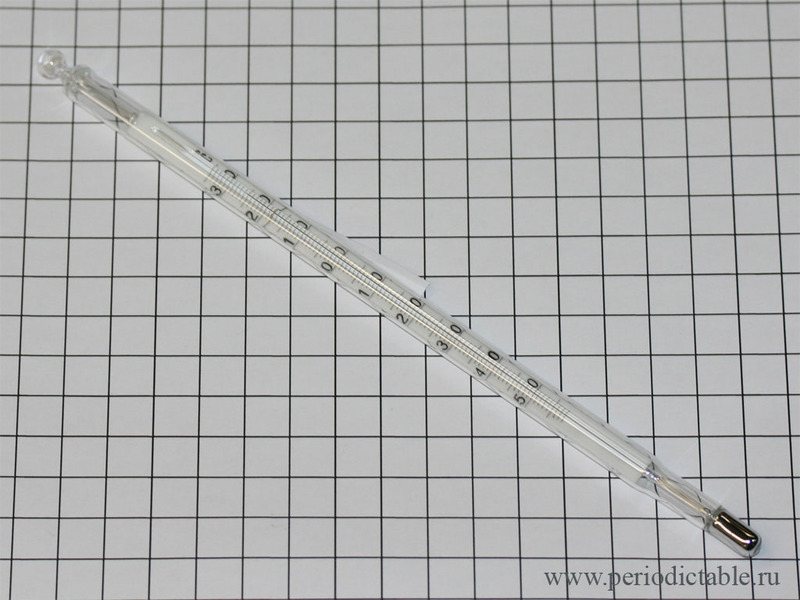 And one more Tl-Hg thermometer. 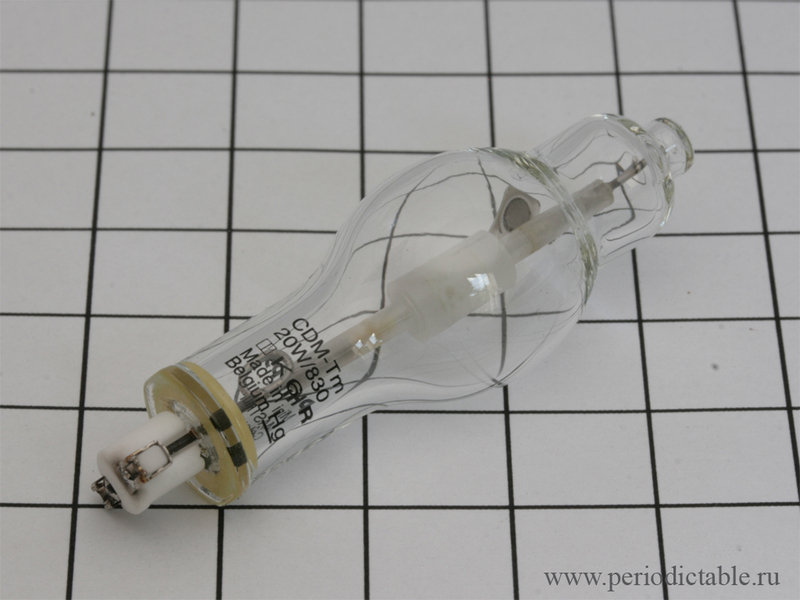 Metall-halide HID lamp with TlI3. 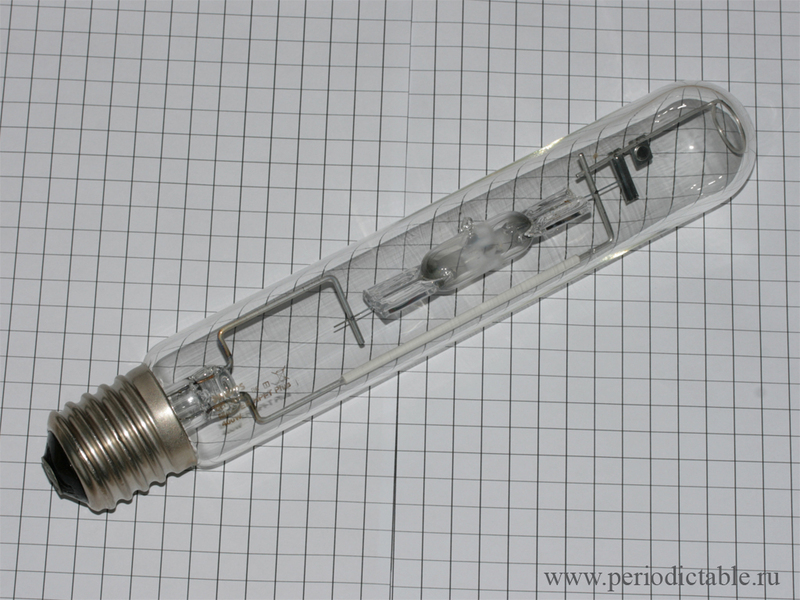 HID lamp in work. Shortly after turning on, TlI3 evaporating and emitt green light. 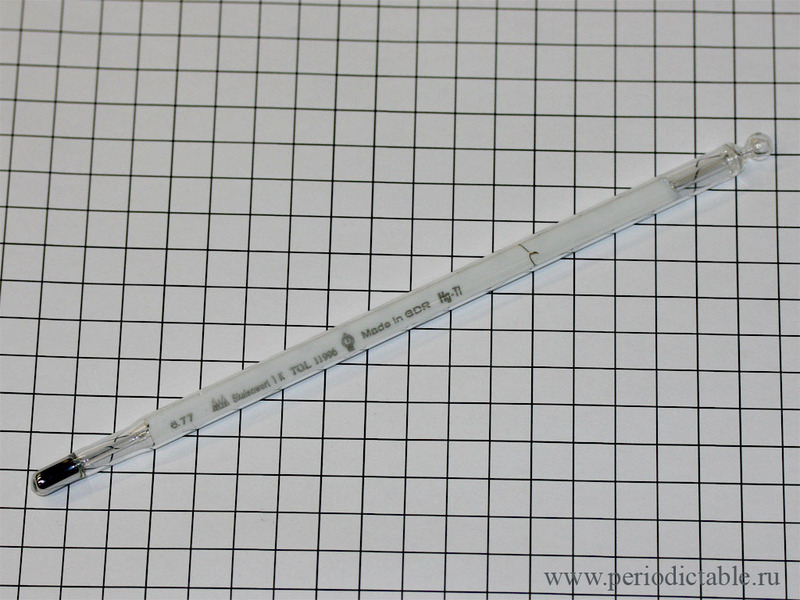 After heating up (within 1 min) color become white due to evaporation of NaI. 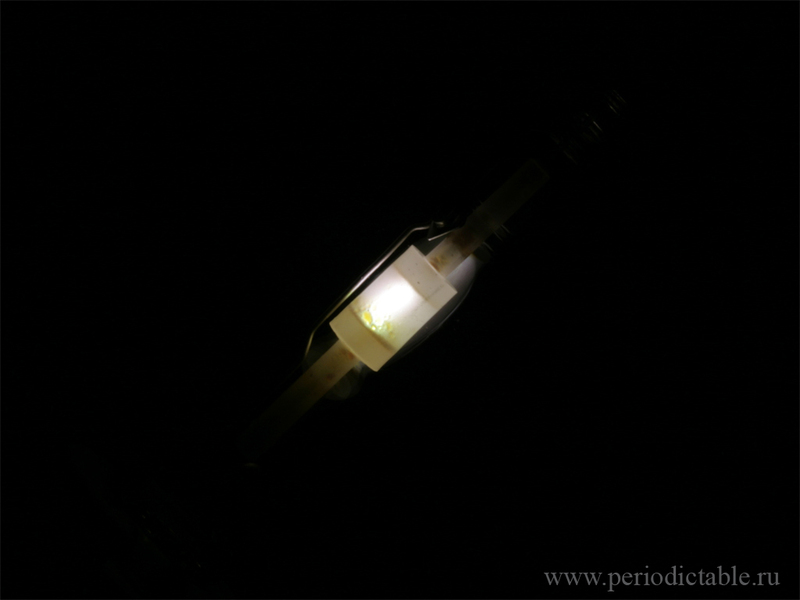 On the last photo - electric arc inside the ceramic tube. 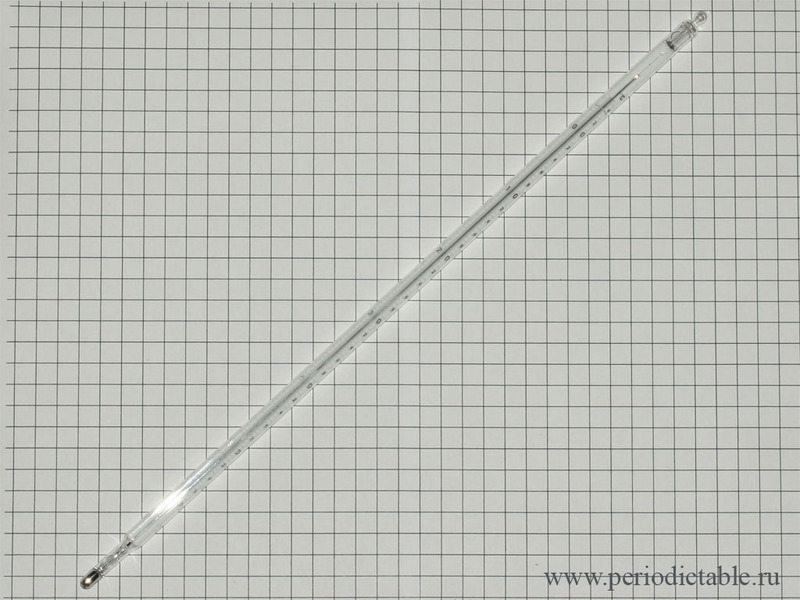 400W Metall-halide lamp HPI-T plus (Philips). 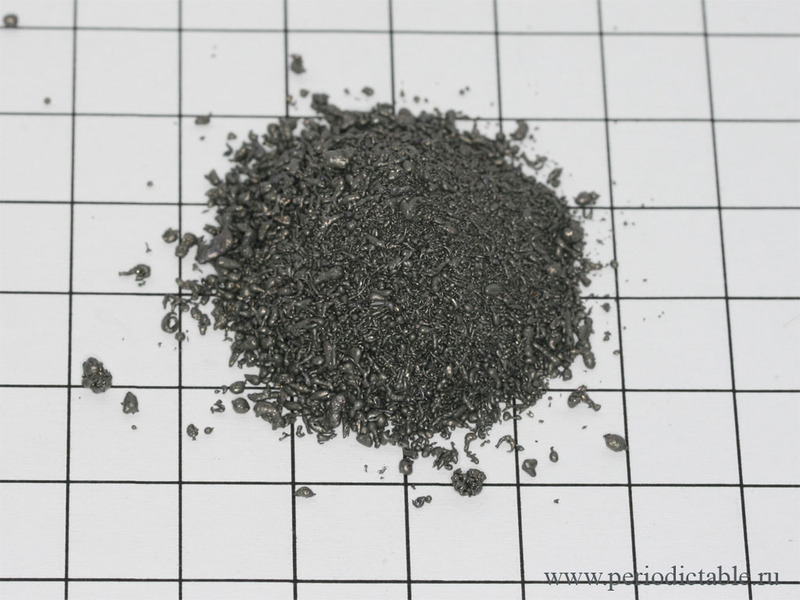 Contain mixture of iodides of Tl, In and Na. 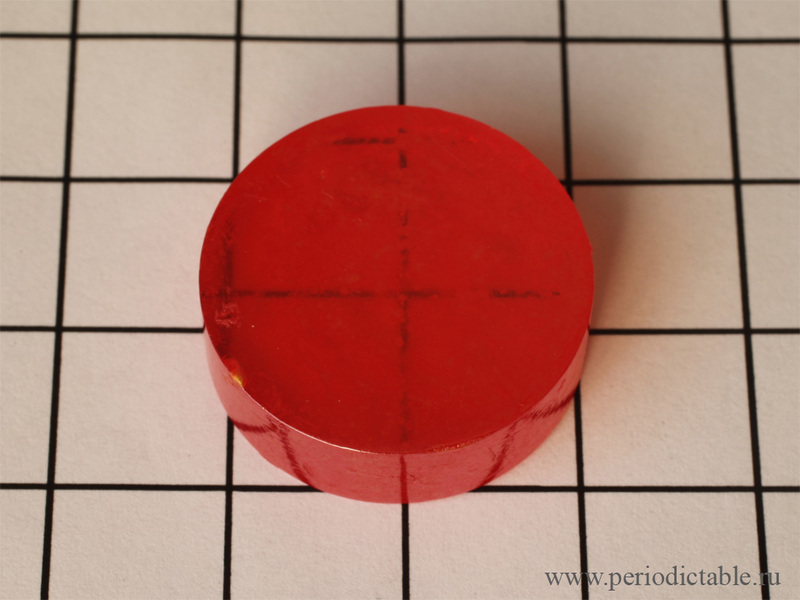 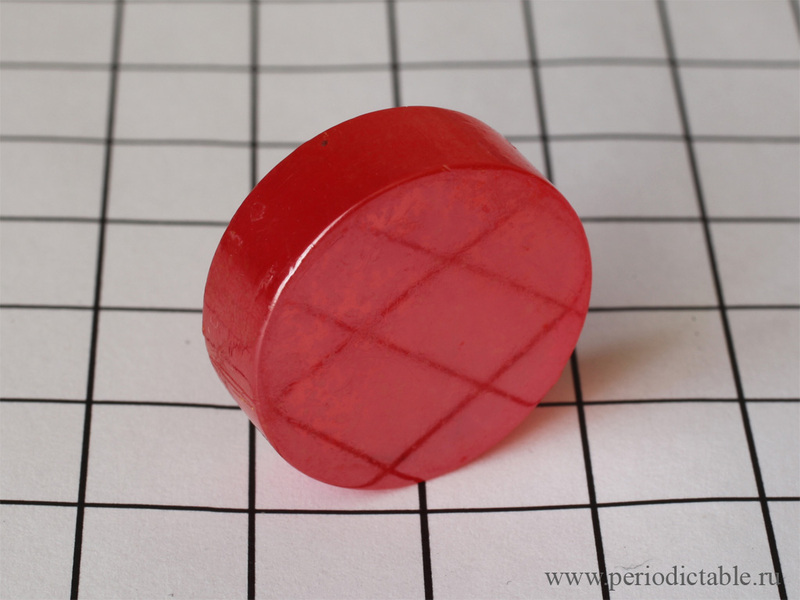 Discs made of KRS-5 (Thallium iodide-bromide).